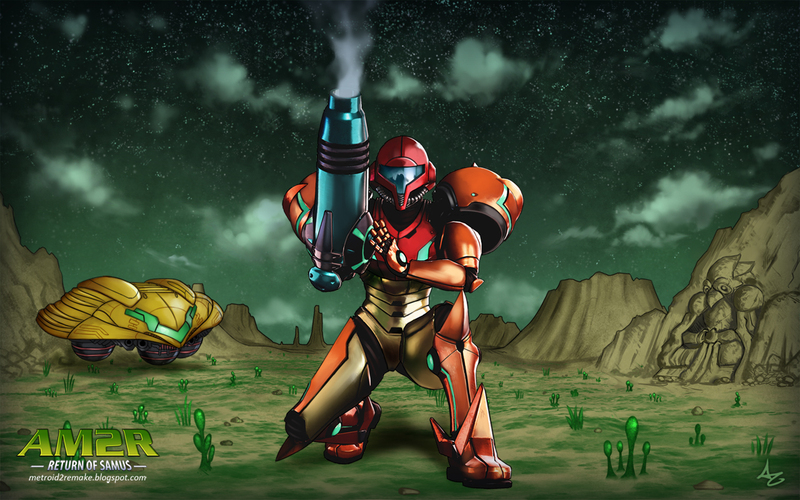 After more than eight years in development, the fan remake of Metroid II: Return of Samus is now available to download free of charge. Dubbed AM2R (Another Metroid 2 Remake), the game’s release coincides with the 30th anniversary of the popular Nintendo franchise as the first Metroid game launched on August 6, 1986, for the Famicom Disk System in Japan. A year later, Metroid made its debut in North America for the Nintendo Entertainment System followed by the launch of Metroid II: Return of Samus on the Game Boy in November 1991. AM2R, as Ars Technica notes, includes a mix of updated mechanics, refreshed artwork, a new soundtrack, a map system, logbook, new areas to explore, new bosses to battle and more. Based on multiple first-hand accounts from those that have played the game, the level of polish here is on par with what you’d expect from a piece of work from Nintendo itself. The team behind AM2R says this is not a definitive version, but just the first as there are lots of improvements and features planned for the near future. One can only hope that Nintendo won’t take it the wrong way and issue a cease and desist letter to shut the project down (that’d be a real shame after close to a decade of work). That said, you’d probably better go ahead and download AM2R sooner rather than later… you know, just in case. My personal favorite in the Metroid series is 1994’s Super Metroid for the Super Nintendo Entertainment System. From the haunting soundtrack that still holds up today to the massive world for Samus to explore, everything about this game was superb. Update: As feared, Nintendo's lawyers wasted little time in filing DMCA takedown requests with each service that was hosting AM2R. It would be easy for the gang behind the project to be bitter at Nintendo but they aren't. Instead, they urge fans to download the original Metroid II from the eShop to show Nintendo that there is still a market for 2D adventure platformers.